Welcome to Who What Wear UK's High-Street Week. Stay with us as our dedicated team uncovers the best that the world of affordable fashion has to offer. This is your edited guide to the essential intel behind S/S 18—don't even consider shopping without us. Good news: The weather is on the turn. Sure, we're not whipping out the factor 50 just yet, but with the brighter days and earlier sunrises, our minds are very much thinking about S/S 18 looks. However, if you're worried about having to fork out a load of cash for a new wardrobe, fear not. Instead, we've looked to the high street this season for a way to rejig our closets. Not only that, but there are also plenty of inexpensive items that look like you've spent way more. As part of our We Try Before You Buy series, we spent hours hunting down these pieces and then the whole Who What Wear team tried them on so you can see what they really look like. What's even better is that you can shop nearly everything right now. Anything else that's caught your eye will be available soon. Keep scrolling to see our picks of this season's high-street spring fashion essentials. On Emma: H&M Fitted Jacket (£40); H&M Tailored Trousers (£25); & Other Stories (£79 available in March). The verdict: "I haven't been able to stop thinking about this H&M suit ever since I first saw pictures of it at New York Fashion Week, so I wanted to try it myself. 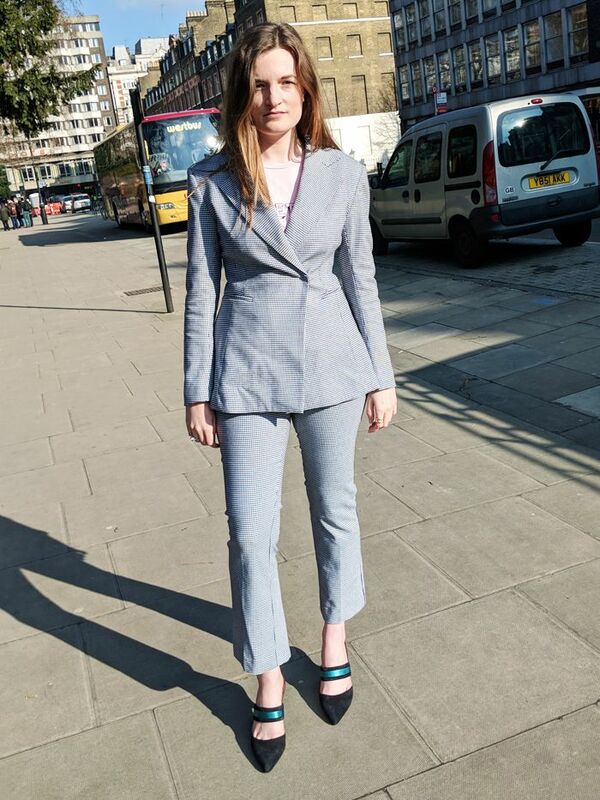 Suits can be an investment, as they require buying two items—this is quite the find, as it is only £65 for the full suit, and the fabric feels durable and comfortable." On Elinor: Marks & Spencer Faux Leather Circle Handle Cross Body Bag (£40). The verdict: "I love a camel-coloured bag, as it always looks way more expensive. I'll be wearing this for wedding season and to work." On Elinor: Modern Rarity Eudon Choi Altman Dress (£160); Topshop Galaxy Flare Heel Mules (£69); Topshop Riga Marabou Cross Body Bag (£25). The verdict: "Who doesn't love mules right now? I couldn't think of anything more fun than wearing them with this chic black dress and fluffy bag." On Hannah: Warehouse Stripe Asymmetric Jumper (£49); Warehouse Stripe Asymmetric Skirt (£56). The verdict: "I can't believe this co-ord is Warehouse! It is comfy, warm but not bulky, head-turning (or so I think! )—what more could I ask for of a throw-on outfit?" On Emma: Modern Rarity Cashmere Side Split Jumper (£190); Zara skirt and shoes (available soon). The verdict: "This Modern Rarity jumper is quite possibly the cosiest thing I've ever had on my body—so I am most definitely buying after trying. These red Zara sandals might be from the basics range, but they look so much more expensive, so they'll also be mine come payday." On Isabel: ASOS Midi Kimono Dress (£80); COS Suede Shoes With Oversized Heels (£125) and Small Shoulder Bag With Soft Fold (£79). The verdict: "It's one of those perfect pieces that does all the talking the moment you slip it on. I was prepared to feel a bit overwhelmed by the sleeves, but I loved them." On Isabel: ASOS White Floral Co-ord Skirt (£45); Arket Leather Mini Cross Body (£115). The verdict: "Calling all curious minimalists! This is an ideal piece for those tempted to try bold prints. The material is so comfortable—almost athletic—that you forget how loud you're being. It's a show-stealer." On Hannah: & Other Stories jacket (£69 available in March); ASOS earrings. 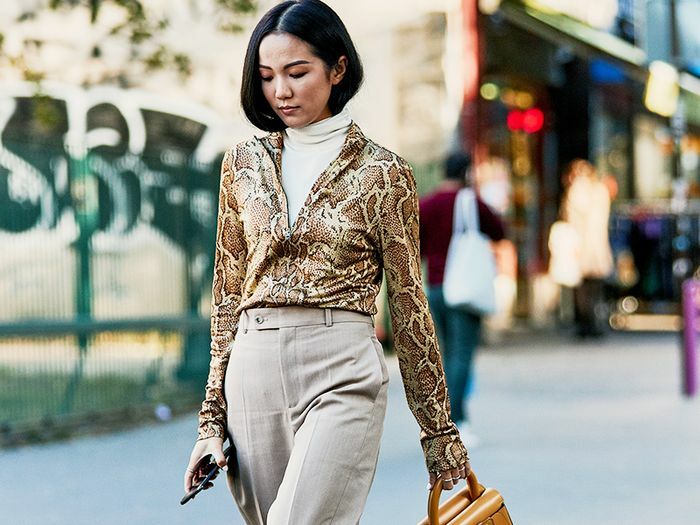 The verdict: "Spring jackets are so underrated but so useful in this country—I often get swamped in tailoring thanks to my petite frame, but this one manages to balance out the statement sleeves with that gigantic belt." Now we've done the trying, you can do the buying. All the beautiful furniture featured in the Who What Wear UK office can be purchased via John Lewis now.